Jim served over 30 years in the United States Air Force as a Pararescueman, Special Tactics Officer and Civilian Intel Analyst and Combat Rescue Officer and Pararescue Instructor. His career highlights include assignments to Major Commands, Joint Commands and the Pentagon. Jim has extensive experience in Special operations and conventional rescue techniques. His deployments to multiple countries assisting with Humanitarian aid and combat operations have culminated with a second career as a civilian teaching the next generation of Pararescuemen and Combat Rescue Officers. Jim has also been an American Red Cross Instructor Trainer for over 35 years. 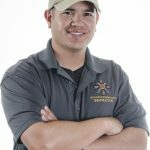 He is currently the Chairman for the State of New Mexico Instructor Trainer committee. His extensive Special Operations experience has enabled him to learn and teach US and foreign weapons as well as treat numerous individuals with trauma medicine. While stationed at the Pentagon on September 11, 2001, Jim assisted his fellow co-workers when a terrorist controlled plane crashed into the pentagon. Because of his background, Jim was selected to play a Pararescueman in the move Lone Survivor, portraying the actual mission depicted in the film.